You can find a career where you can be around animals—whether it’s taking care of them or studying them—nearly every day of your work life. After all, research shows that doing what you love can help you succeed—and maybe even live longer. Take a look at this list of careers for animal lovers—learn more about any one by clicking the career’s name to view a full Occupation Profile. Being a vet is often the first career that people who love animals aspire to think of. And while the work can be perfect for lovers of animals, veterinarians need an advanced degree and a license. But if you’re up for putting in the years of training, well-paying job openings should not be hard to find—the field is expected to grow faster than average and the median salary nationwide is more than $88,000. In a typical day, a veterinarian may examine several animals to assess general physical conditions, operate on an animal, treat acute illnesses, infections, or injuries, and prescribe medications. If you’re not prepared for earning a graduate degree but want to help animals in a vet’s office, becoming a veterinary technician may be right for you. The field usually requires a two-year associate’s degree, and the median pay is $34,000. Common tasks include: monitoring animals during treatments, procedures, or after surgeries; maintaining medical facility records; or administering anesthetics or sedatives to control pain. These are the scientists who study animals and wildlife. They may study animals’ origins, behavior, diseases, genetics, or life processes—and some specialize in wildlife research and management. Most have a bachelor’s degree but a graduate degree is also common. The job outlook is good for this field, and the pay averages around $60,000 a year. This career group includes anyone who works with animals on a farm or ranch. They might work with cattle, sheep, swine, goats, horses, poultry, shellfish, or bees, and their duties may include feeding, watering, herding, grazing, or weighing animals. Specialized workers in this field might assist in birth deliveries or give medications or vaccinations. And while the typical pay isn’t high—median wages are just under $12 an hour—it can be a great job for young people or students: more than half of the nearly 270,000 workers in this field have less than a high-school diploma. 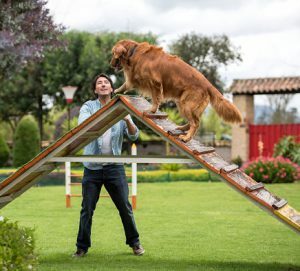 Most animal trainers work with dogs or horses and they may train them for riding, harness, security, performance, obedience, or assisting persons with disabilities. The field is expected to grow faster than average in the next decade, and specialized workers with advanced training can earn more than $50,000 a year. Still, check with other trainers in your local area to find out about job prospects—nationwide, the median salary is just over $27,000 a year. But with more than 60 percent of workers in this field having less than a two-year college degree, it can be a great part-time job for students or younger people.